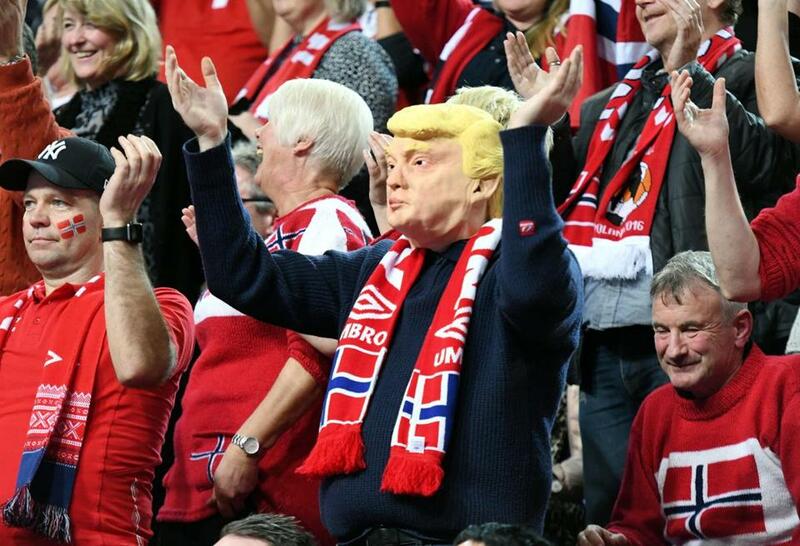 A Norway supporter wearing a Donald Trump mask cheered on his team last week during a handball match against Belarus. UNLIKE YOU, I have options. A number of years ago I married an intelligent, blonde woman who spoke many languages, including one that sounded like the soundtrack from “Thor: Ragnarok.” It was gobbledygook to me, but she turned out to be Norwegian — imagine my luck! Where the heck is Ringerike, you ask? As indicated, it’s in Norway, a bit north (ugh) of Oslo, and to the left (west.) On Google Maps, it looks like an enchanted land of lapis lakes and forested mountains, which is how I will choose to think of it. The Republicans at President Trump’s immigration meeting failed a serious test of character, and they ought to be held accountable too. “Ringerike has a lot to offer,” the website explains, in near-perfect English. Did I mention that all Norwegians speak perfect English, and Swedish, and German? The fact is, Norwegians in particular and Europeans in general (don’t get me started on the Dutch) can be pretty annoying profiling their peacocky polyglottalia. Which may or may not be a word; my English is a work in progress. Where was I? “Ringerike has a lot to offer: free health care and schools, reasonable [sic] priced housing, wide cultural scene, high tolerance for religious beliefs and sexual orientation, stunning nature, clean air and fresh water. 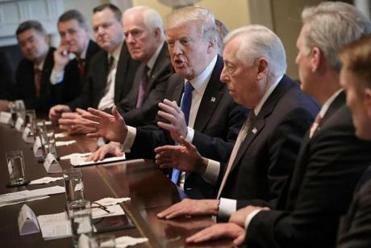 All are equal; women’s rights are advanced, and our current female head of state is not our first.” This refers to prime minister Erna Solberg, whom, inexplicably, President Trump treated like an actual human being during a recent White House visit.